It may seem like nothing extraordinary and quite primitive, but circle tattoo has many interesting details. The circle is a universal symbol that we can find in almost every culture, and it represents many concepts. It is also a component of nearly every object in our universe. Planets, stars, the human body, plants, and many other things contain circle shape inside. But in this article, we are going to stick to the circle as the geometric shape. Simple black circle tattoo on the arm. Circle tattoos have become a huge trend among the hipsters in the last couple of years. And indeed, a black, minimalist circle looks beautiful on the body. Until today, it is still a trendy tattoo design, and you can find lots of variations and ideas on it. However, for a tattooist, the circle can be quite a challenge because it’s pretty hard to draw a perfect one. The artist must be very skillful and have steady hands. Three little circles tattoo on the right forearm. So, if you’re here for the circle tattoos – stay a while. We have not only gathered the most beautiful tattoo ideas, but we will also explain the meaning of the circle. It would be quite impossible to tell who and when used the first circle as a symbol. We know that it is very old and people were using it before the beginning of recorded history. They saw the sun, moon, and stars, and they tried to portray them by using a circle. They used it as a protection from the evil spirits and for many other purposes. Black Circle Tattoo On The Wrist. Cloud circle tattoo on the chest. The circle has always been a sacred symbol of the divinity because it’s the most natural shape that we can find in the sun, moon, planets, our eyes, atoms, and many other objects. A circle has no beginning nor end, it closes on itself and represents the eternity, wholeness and unity. It is also a symbol of the sun as a masculine power. Blackwork simple circle tattoo on the arm. Not only the planets, suns, and galaxies move in circles, but also our lives. It is a symbol that embodies this constant movement of the entire universe as well as the presence of each one of us. It is also a symbol zero which represents an early stage of development. 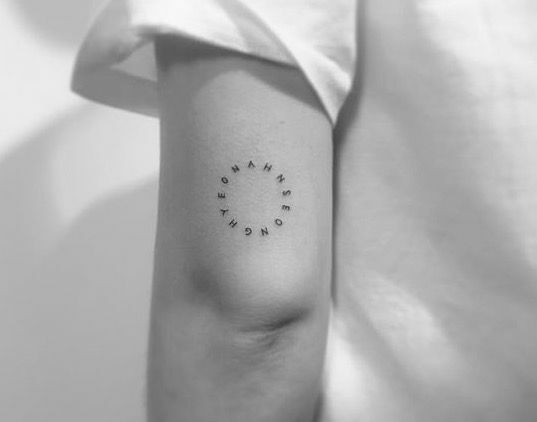 Circles are one of the most popular objects of minimal and geometric tattoos. But, the beauty of circle tattoos is not the only reason why people tend to get them. Circles have many complex and interesting meanings. Let’s take a look at them. – Eternity. One of the primary symbolism of the circle is the eternity. Since it is a closed shape, it never ends and represents the infinite movement of life circles. – Circle of life. This concept comes not only from the idea that everything goes round, but also because we don’t know when and where our lives will end. – Karma. What goes around comes around. It’s another meaning of this symbol. Every action that you’ve performed in the past will have an impact on your future. So, a small circle could always remind you to do only good things. – Protection. This one comes from the ancient times. You may not believe much in these things, but the sorcerers and magicians used circles in their rituals to invoke the spirits. Also, many people thought that if you would draw a circle around you, you’d repel the evil forces. With this in mind, a circle with a dot in the center represents the soul of the person and the protective layer. – Perfection. It’s also a universal geometric shape that embodies perfection. Even for a skillful artist, it is difficult to draw a perfect circle. So, make sure you find a professional tattooist before getting a circle on your body. – Gold. The alchemists of middle-ages used it as a symbol of the most precious metal of all – gold. Therefore, circle tattoos may also represent something very essential to you. For example your values or beliefs. As you can see, the circle is a beautiful idea for a tattoo, since it has many options and interpretations. You can get a thin line black circle or a more sophisticated one with some ornaments. Moreover, it is a fundamental component of many other symbols. For example, the flower of life, mandala, Ouroboros, and many others. 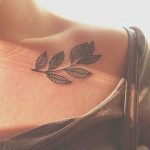 If you don’t like simple, minimal circle tattoos, check out those ideas – maybe they will inspire you to get a more complex circle. So, what do you think of circle tattoos? Do you have any? Let us know in the comments below and don’t forget to take a look at our collection of circles!